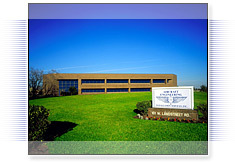 Contact Us - Aircraft Engineering & Installation Services Inc.
Our corporate headquarters and main manufacturing facility is located in Orlando, Florida. AEI Inc. is currently seeking to hire qualified candidates for a variety of full-time and part-time employment positions. and attach a copy of your resume - saved in .pdf format. Physical resumes can be mailed to Corporate Headquarters location in Orlando, FL., ATTN: Human Resources. Interested in receiving more information about our products and solution? Complete the information request form below and we will contact you with more details. Resume must be 200KB size or less.